About a year and a half ago, I reviewed a bottle of whiskey that was only available in Canada. I thought it was a good, but not great whiskey and mentioned I probably wouldn’t make a trip to Canada (a six hour drive for me) specifically to pick up another bottle. Almost exactly a year ago, I happened to cross the border into Canada while sightseeing in Northern Minnesota and decided to give that whiskey another shot. I bought a bottle at a Thunder Bay LCBO location. A bottle which sat in my closet until I had almost forgotten about it. A couple of months ago Beam Suntory was kind enough to bring the whisky to the United States and I decided to run to Total Wine to pick up a bottle of the US release too. A bottle which spent two months in my closet until I made room for it on the Canadian Whisky Shelf. 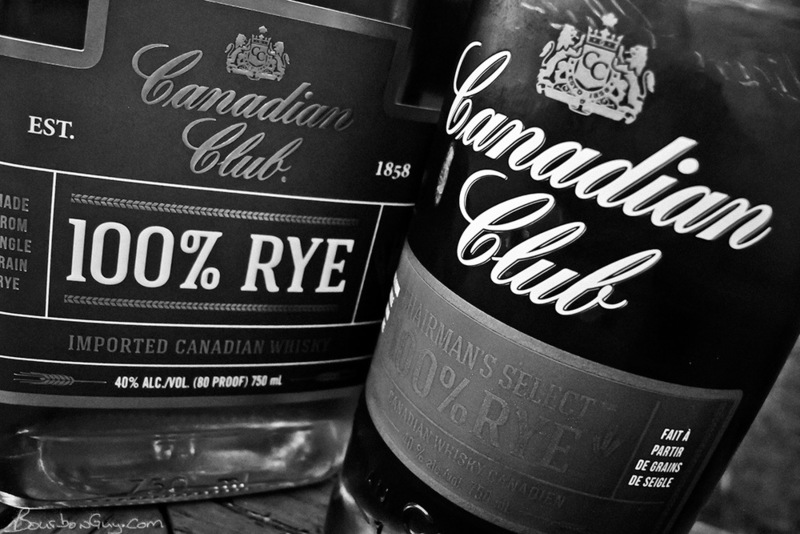 Of course I’m talking about Canadian Club 100% Rye (or Chairman’s Select 100% Rye in Canada). I picked it up mostly because I was curious to see if there was any change to the product when it crossed the border and entered a new market. To my palate, there was no change. When we did our tasting this weekend, I got the same notes from both bottles and both were pretty close to what I got the first time around. So if you loved this whisky in Canada, you should love it in the US. If you were like me and thought there were better options in both the rye and Canadian whisky categories…well…there still are. I kinda like the Canadian version of the bottle shape a little better though. It takes up less room on the shelf. This post is brought to you by readers like you who have pledged $1 or more per month to support bourbonguy.com. Not a patron yet? Consider going to patreon.com/arok to pledge your support and get bonus content. Thank you.